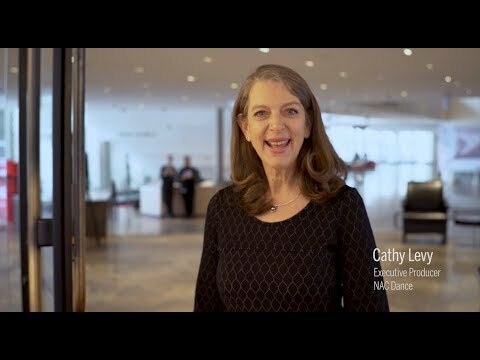 Cathy Levy has devoted her professional working life to the performing arts, dedicated to the creation, development and presentation of artistic projects, most notably in the dance field. She joined Canada’s National Arts Centre in the fall of 2000, having acquired an enviable reputation throughout the Canadian dance community. 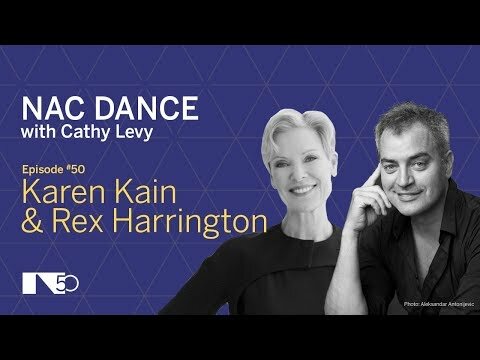 Prior to being appointed NAC Dance Producer, Ms Levy served as Producer of the Canada Dance Festival of new Canadian choreography from 1990 to 2000, and as Associate Producer from its inauguration in 1987. From 1992 to 2000, she was Dance Programmer for Toronto’s Harbourfront Centre where she ran an annual international contemporary dance series featuring companies from around the world. In 1997, she served as Performing Arts Coordinator for the Cultural Component of Canada’s Year of Asia Pacific, and from 1994 to 1996, she was the Director of the Vancouver East Cultural Centre, a multi-purpose performing space for the contemporary arts. In 1988, Ms Levy founded the Dance Umbrella of Ontario, the first-ever service organization of its kind in Canada, providing administrative and production support to independent choreographers, and served as its Executive Director for four years until 1992. Cathy Levy also coordinated many special projects, including the 1992 IMZ Congress in Toronto (for the Vienna-based International Music Centre), Kodo Drummers in Vancouver in 1989 and 1991, and Close-up of Japan in Toronto in 1990. She also served as Special Events Coordinator for the Canada Pavilion during EXPO 86, as Publicity Director with the Vancouver East Cultural Centre (1983-1985), as Regional Officer for Dance in Canada (1982-1985), and as Publicity Director of the Anna Wyman Dance Theatre (1980-1983). In addition, Ms Levy worked with numerous dance companies, including La La La Human Steps, the Karen Jamieson Dance Company and The Kirov Ballet. Ms Levy was a founding committee member of Toronto's Dancers for Life, an annual fundraising event for the AIDS Committee of Toronto which she co-chaired from 1989 to 1993. In 1994, she helped establish and then co-chaired Vancouver’s Dancers for Life. Ms Levy was the recipient of two Canada Council grants, one in 1985 which enabled her to train for a year under Producer David White at Dance Theater Workshop in New York City, and a second, in 1991, enabled her to research and study for four months with major performing arts festivals throughout Europe. In 1999, she was the first Canadian to receive the Japan Foundation’s Uchida Fellowship which enabled her to expand her knowledge of dance and dance companies in Japan. Since joining the National Arts Centre, Ms Levy has championed countless Canadian and international artists, bringing their works to the forefront. She has invited numerous international and Canadian dance companies to perform on the NAC’s three stages including – after a 20-year absence from Canada - the iconic Tanztheater Wuppertal Pina Bausch, as well as the Mariinsky Ballet (The Kirov), the Bolshoi Ballet, Crystal Pite and Akram Khan, to name but a few. Under her leadership NAC Dance annually hosts 18-20 companies, develops a growing number of Canadian and international co-productions, and presents an impressive program of outreach and enhancement activities. Ms Levy has overseen and produced special projects and events for NAC Dance, including an Homage to Jean-Pierre Perreault (May 2004), the Dutch Dance Focus (May 2005), Peggy Jarrell Kaplan photo exhibit (2006), Homage to Marie Chouinard (2008), La La La Human Steps exhibit (2011), and Aleksandar Antonijevic photo exhibit (2012). She also launched the NAC-CGI Youth Commission for Dance, a partnership with the Canada Council for the Arts (2003-2007), the now ongoing Associate Dance Artists Program (2007), and she will announce shortly a new visiting artist program. Ms Levy was also the Producer for the Golden Jubilee Gala honouring Queen Elizabeth’s visit to Canada, held at Roy Thomson Hall on October 10, 2002, and for An Evening Celebrating the Works of Canadian Artists hosted by HRH The Prince of Wales on April 30, 2001. 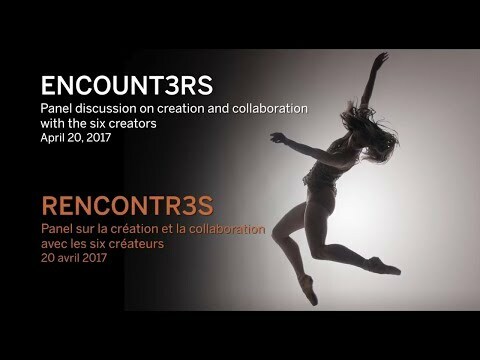 In 2015, she conceived and created, alongside NAC Orchestra Music Director Alexander Shelley the landmark NAC commission ENCOUNT3RS that paired three Canadian choreographers with three Canadian composers. The resulting three one-act ballets, each performed to a brand new orchestral score, received their world premiere at the NAC in April 2017. This major initiative was in celebration of Canada 150 and is a major legacy project for the artists, companies and the NAC. Ms Levy is looked upon as a key figure in the Canadian and international dance milieu. She is often invited to festivals and dance events and she regularly contributes articles to dance journals and newsletters. She has served on several boards, committees, juries and advisory panels. Most recently, she was a nominator for the internationally renowned Rolex Mentor and Protégé Arts Initiative for two cycles (Ohad Naharin and Crystal Pite). She was also the sole North American juror for the ICE Hot biennial showcase (Oslo, 2014). The Montreal contemporary dance skating group Le Patin Libre named her their annual membre d’honneur (2016-17). Ms Levy is currently a Board member of the CanDance Network and a member of the Centre de Création O Vertigo (Montreal) selection committee. She is sought after by emerging artists and arts administrators for short- and long-term mentorships. Ms Levy lives in Montreal with her husband, documentary film and live event producer Martin Bolduc and their two sons, Jonah and Luka.